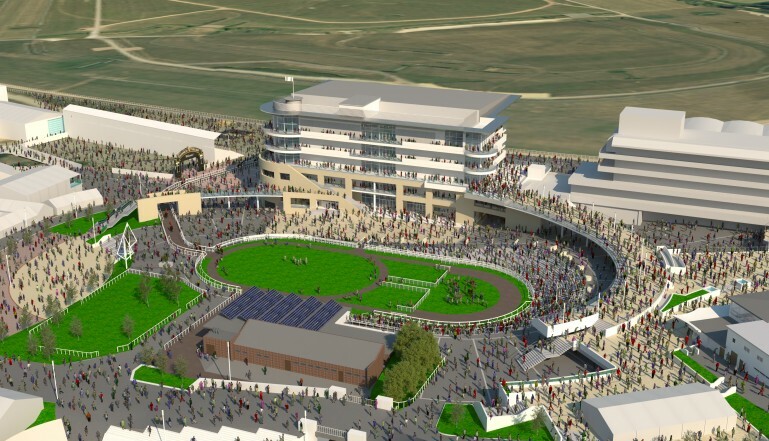 The stunning new £45 million development at Cheltenham Racecourse – the Home of Jump racing – is something to behold and The Jockey Club, which owns the course has not held back in making the already impressive racecourse one of the top sporting venues across sports in the UK. 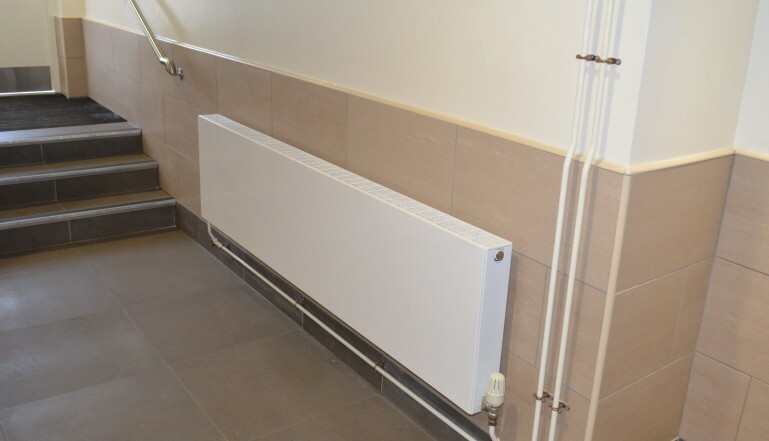 And this includes selecting Stelrad radiators for the new buildings and the refurbished ones in the development. The centrepiece of the new development is a superb new six storey grandstand. There are a wealth of new facilities from bars and restaurants, to private boxes, a new Royal Box and all the support facilities that go to make this a fantastic place to visit for spectators to the major events held at the course every year. In addition to the grandstand, there are other new facilities including a new weighing room and several existing buildings have been refurbished. Main contractor for the project is Kier and the architects are Robert Limbrick. On the M&E side of the project locally based specialist CF Roberts has been responsible for the heating and electrics in the new facilities. 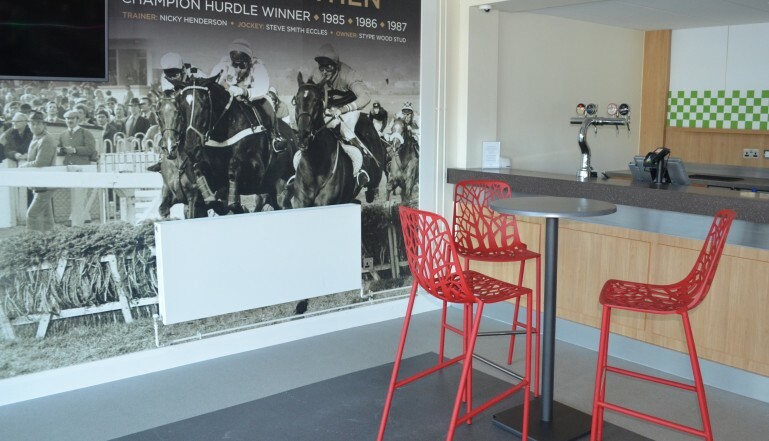 Throughout the new buildings, Stelrad radiators have been specified to ensure the heating is up to scratch – with many of the jump season meetings taking place in the autumn, winter and early spring, visitors need to be kept warm in between races when they head indoors. So Stelrad’s Planar radiators – slimline, flat fronted, aesthetically pleasing radiators in a wide range of sizes, both horizontal and vertical have been specified to keep the punters warm. Stelrad Planars have been used in the public areas of the new grandstand, in the stairways, hallways and the toilets and in the other new buildings as well – in the weighing room, in the lady jockey’s changing rooms, in the first aid areas, the communal areas and in the bars including the ‘See You Then’ Bar – named after a famous race horse – in this case the Champion Hurdle Winner in 1985, 1986 and 1987. The Planar is available in a choice of 100 horizontal models and 12 vertical models with outputs of up to 16729 Btu/hr. It has a completely smooth, flat finish with integrated top grille and side panels. For more information on the Stelrad Planar, and the huge range of radiator options available from the UK’s leading radiator manufacturer, visit www.stelrad.com, you can call for brochures and information on 0844 543 6200, or email marketing@stelrad.com . You can follow Stelrad on Twitter @Stelrad or on Facebook at www.facebook.com/StelradRadiators.